Octane has entered the Apex Legends world and his explosive lore happens to match up perfectly with a Titanfall 2 player's record-breaking speedrun. Octane has stepped into the Apex Games, the battle royale experience set within the world of Titanfall, and Respawn Entertainment has presented the lore for the game's new playable character. 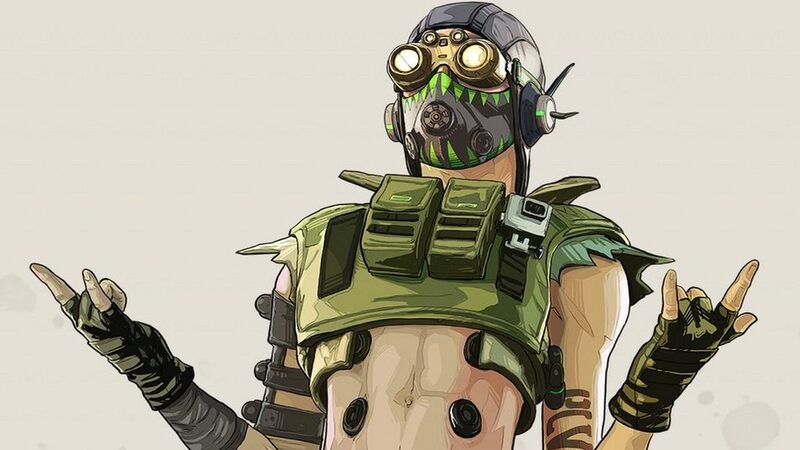 He's the first new character to be introduced to Apex Legends, coming via Season 1: Wild Frontier, and his explosive past ties into Titanfall in another way as well. 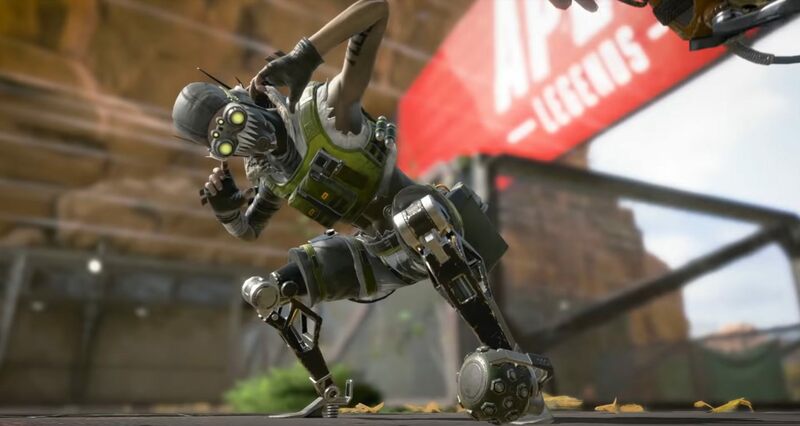 If you've taken a look at Octane in Apex Legends, you may notice that both of his legs are bionic prosthetics. It turns out that Octavio Silva aka Octane took his daredevil to a dangerous extreme, using a grenade to propel himself across the finish line in the Gauntlet, an obstacle course that appeared in Titantfall 2. As it turns out, PC Gamer reports that an actual player that broke the Gauntlet speedrunning record used a grenade to do so. Cash Mayo chucked a grenade at the start of the race and sped to a 12-second finish, beating the previous record of 13.4 seconds. "One day, Octavio Silva was bored. In fact, he was bored most days. Heir to the preoccupied CEOs of Silva Pharmaceuticals and wanting for nothing in life, he entertained himself by performing death-defying stunts and posting holovids of them for his fans to gawk over. So, this day, he decided to set the course record for a nearby Gauntlet by launching himself across the finish line – using a grenade. As he lay in triage hours later, the doctors informed him that the damage done to his legs meant his daredevil days were over. That didn’t sit well with Octavio, who turned to an old friend for help: Ajay Che, who he guilted into forging an order to replace his legs with bionic ones. Suddenly able to repair his limbs at a moment’s notice, Octavio decided petty online stunts weren’t enough: the ultimate adrenaline rush, the Apex Games, was calling. Now, he’s going to become an Apex Champion doing the most incredible, death-defying moves anyone’s ever seen. Maybe in the arena, he won’t be so bored." The development of Octane just happened to lineup perfectly with the speed-run by the Titanfall 2 player Cash Mayo, which is all fortuitous for Apex Legend and its still-feverous community, and the development team is embracing it directly by linking the "What's The Gauntlet?" pop-up in Octane's debut trailer to Cash Mayo's speedrun video. Apex Legends is free-to-play and available now on PC, PS4, and Xbox One. Thus month is the debut of the battle royale shooter's first season of content, called the Wild Frontier, and Octane is a part of that new update. If you want to play as the new Legend, you can purchase him with Apex Coins or Legend Tokens.